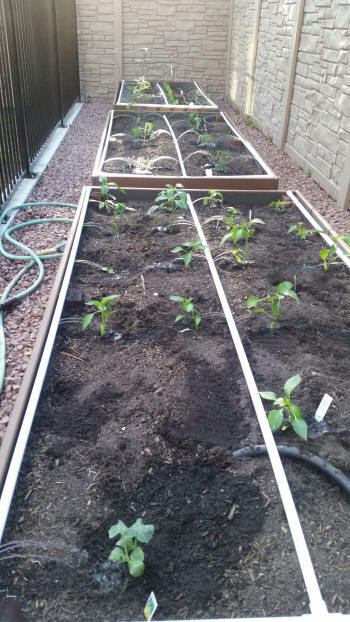 Continuing on with the build of our Trex raised garden beds, this section shows how we built an automatic irrigation system out of PVC pipe and also provides some pictures of the final product. 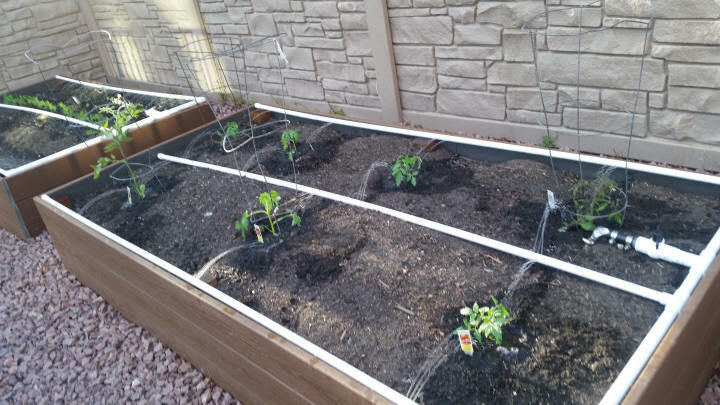 For irrigation, 1/2" PVC pipes were routed down the middle and sides of each bed with a ball valve for each bed. Using a 1/8" drill bit, holes can be added to water individual plants or a whole row of plants. Because we used a single controller for all 3 beds and each bed required slightly different amounts of water, the ball valves were very helpful in getting just the right water pressure. The PVC pipes were snug enough that we didn't glue them together which also means for a couple bucks you can throw in a new length of pipe and customize it to different watering needs down the road. 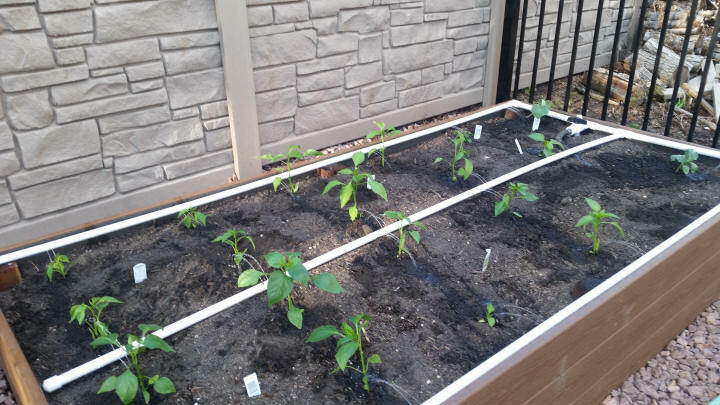 This irrigation system was cheap, easy, and ended up working awesome for the raised-beds. This is what the final raised garden bed project looked like. 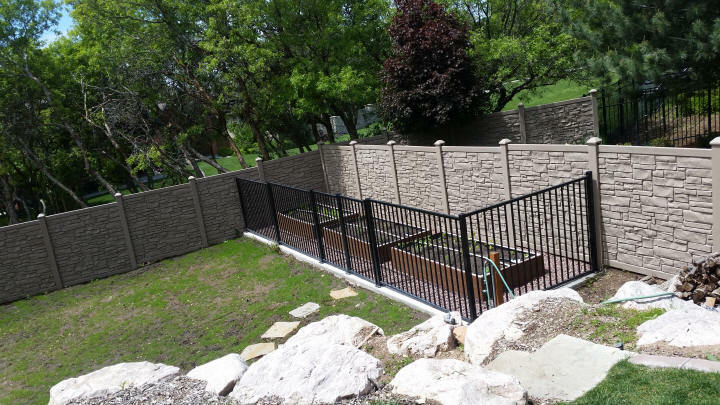 We have a major deer problem in the area so we poured a small concrete footing and added a 5ft steel fence to enclose the garden space. 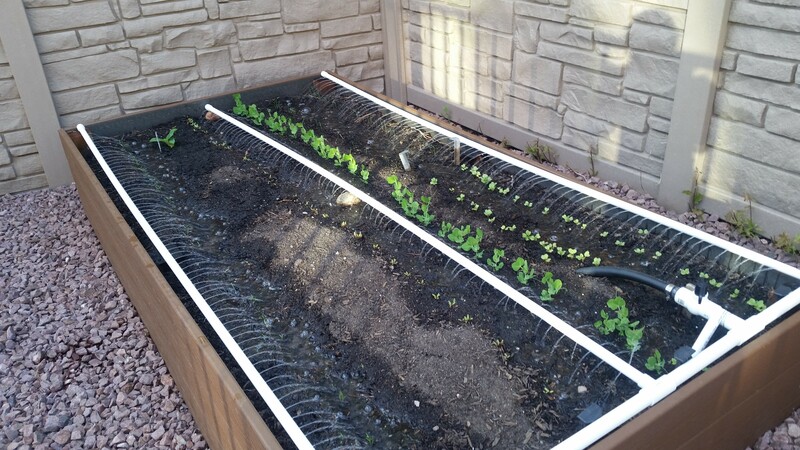 So far it has worked great at keeping the deer out of our garden. Copyright © 2019 www.BuildMyOwnCabin.com All Rights Reserved.